This pug’s face says it all. The level of anticipation for the weekend is high today, and we aren’t the only ones on the verge of impatience! Prepare to pack in as much fun as possible in the next few days before Monday strikes again! Sometimes you just need to cool off! 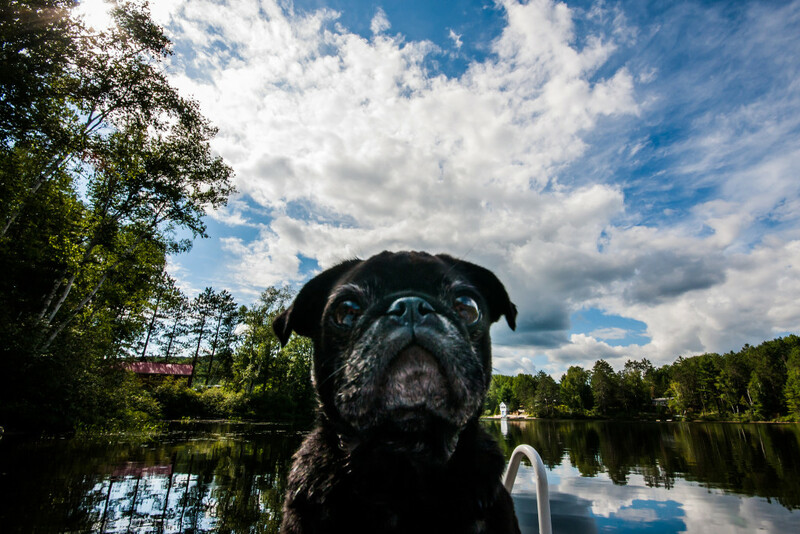 This cute pug is hanging out at the lake. 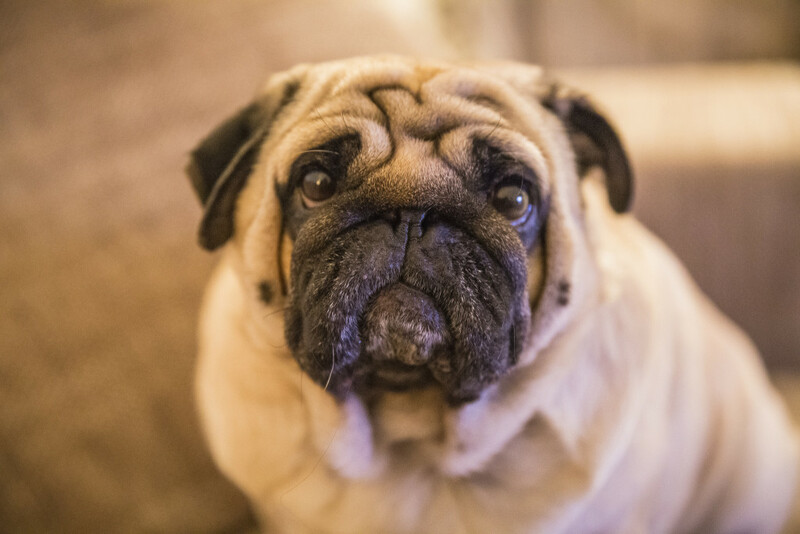 Pugs are notorious nappers, and we know that it might be time for our pug to snuggle up for a nap when she starts staring vacantly into space for prolonged periods of time. 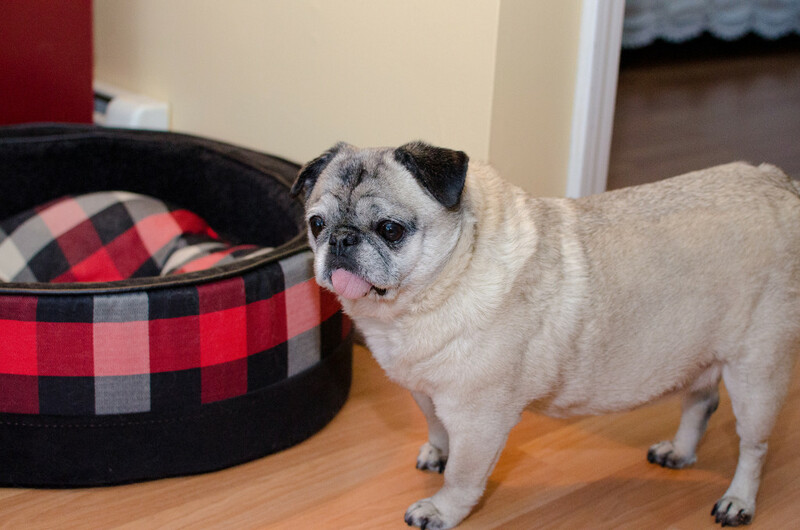 This may be accompanied with snoring (even though she is still awake) and the classic head bob of a pug trying to fight off an irresistible urge to slumber. Ready for a summer road trip! Summer time is perfect for cruising with your favorite pug! 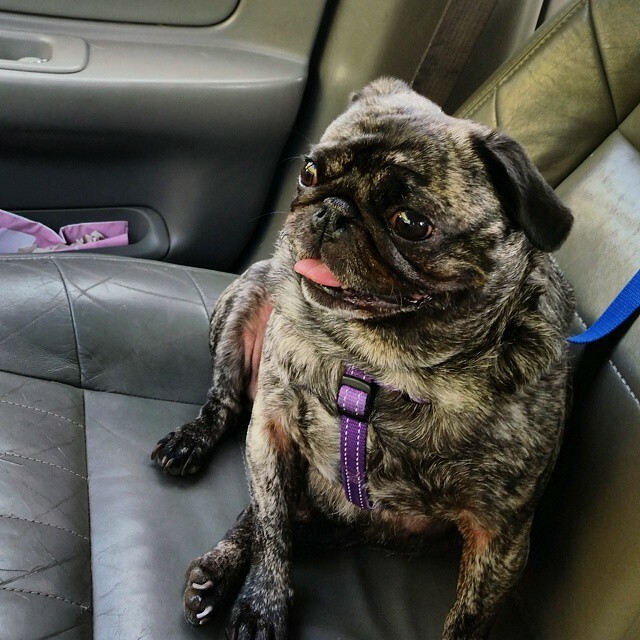 Our pug is crazy about car rides and is a great road trip companion… as long as you don’t forget to bring the travel snacks! Quite the happy and cute pug! 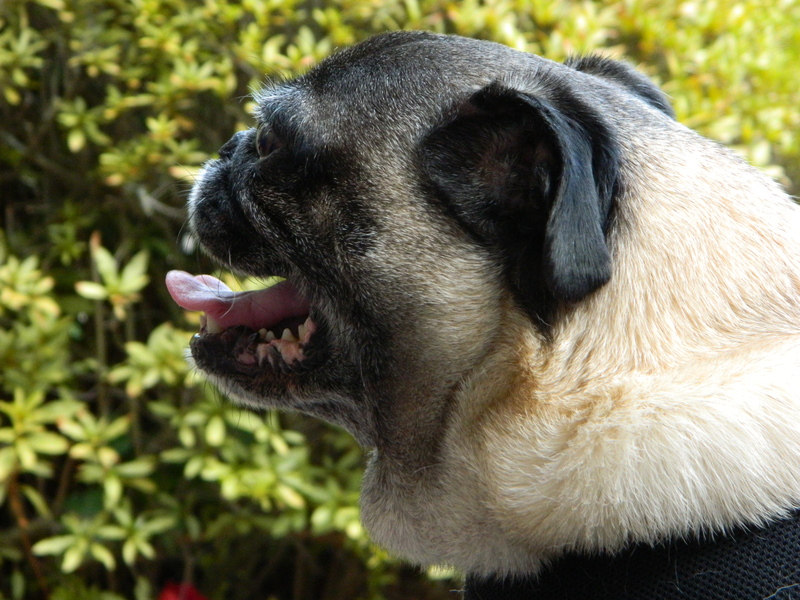 Sometimes being outside is just pure bliss for a pug – this is one of those days! 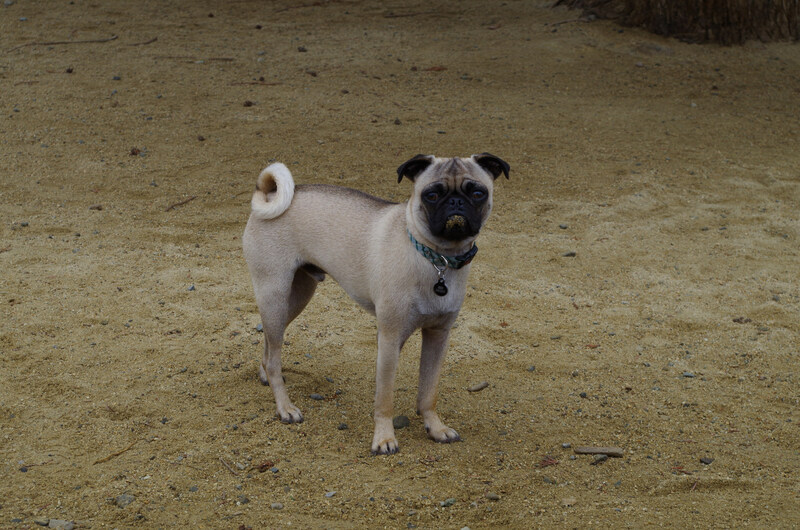 Cute Pug Standing Outside found his treat! After hours (really minutes) of scavenging, he finally found his treat! Stripes are in? Right? 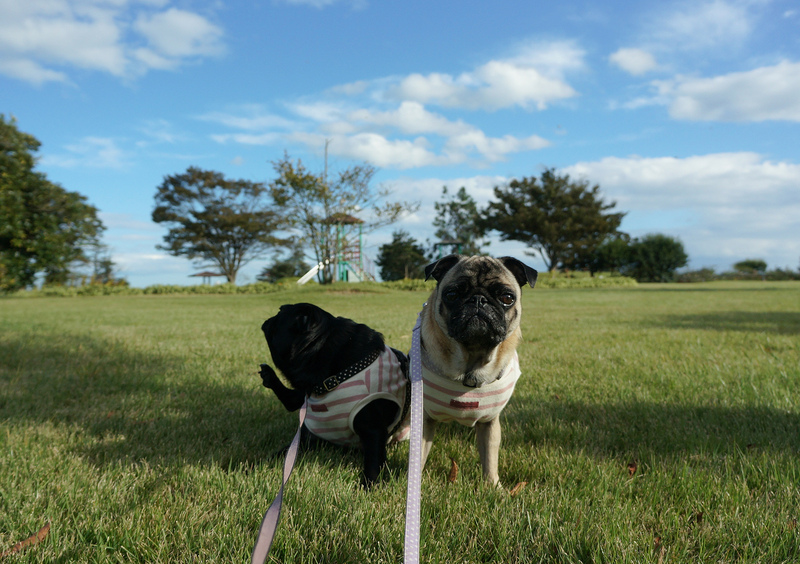 These two cute pugs are enjoying the weather and fun park. Fourth of July festivities are in full swing with BBQs, picnics, family, friends, and, of course, fireworks. 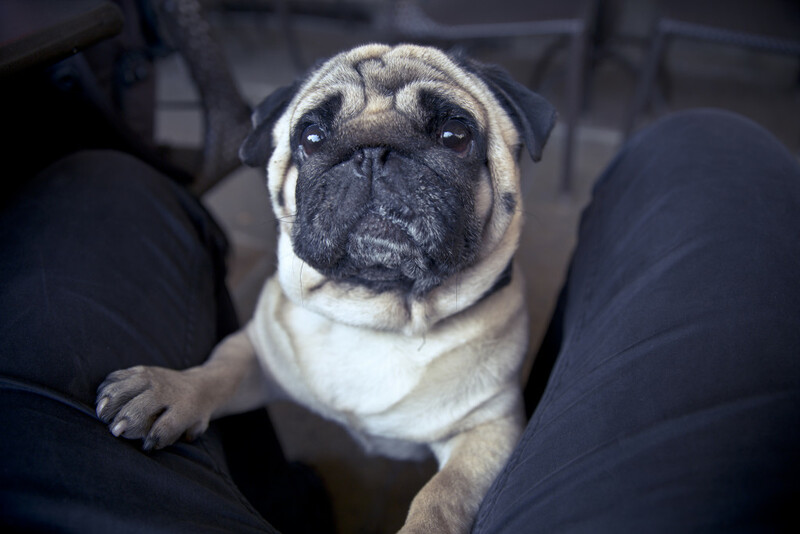 Give your pugs some extra love and snuggles today as they prepare for another night of loud noises and excitement. 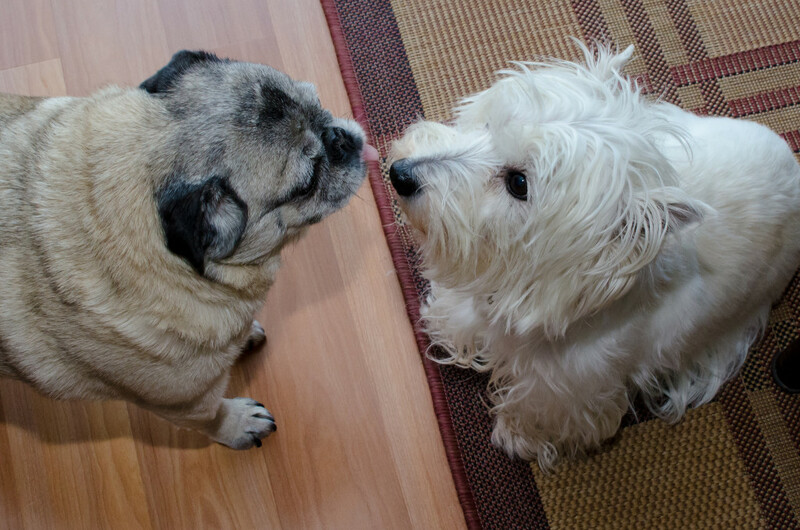 Wishing everyone pugs and kisses this lovely Friday morning!